In the age of social media, it would be almost suicidal if your restaurant does not have a presence on the popular social networking sites. 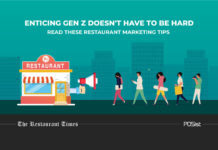 Restaurants nowadays, big or small are leveraging social media as their primary strategy for restaurant marketing. While it does seem like the ultimate way to go, the problem is, everyone is doing it! Which means that it is easy to get lost in the sea of competition. Add to that the challenges of reaching out to the right customers, and the rate at which you would be able to actually get some results. Creating an organic social media presence takes time. However, you can still make the best of social media by running paid restaurant ads. The importance of social media cannot be denied. But then you may ask, why not simply run regular marketing campaigns, and not spend money? 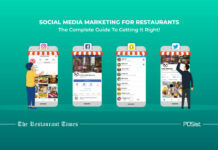 Here are the reasons why you should invest in paid social media marketing for your restaurant. Stiff Competition: The competition is too stiff out there. Every restaurant out there is promoting their business on social media. It is easy to get lost in the crowd. Organic Reach: If you have been promoting your restaurant on social media you would already know that the organic reach of the posts is exceedingly less. For instance, on Facebook, the reach of posts remain between 1-2% of your follower base. Unless your content is viral-worthy, which is difficult to achieve in the case of restaurants, chances are your own followers will not be able to see your posts. Reaching Out to New People: When you only rely on promoting your restaurant organically, you appear in the feed of your followers only. However, there are thousands of people who could potentially be your customers. Running paid advertisements allows you to increase your visibility to new and potential customers. Targeted Marketing: There is nothing worse than running a marketing campaign that has an undefined audience. Social media platforms allow you to create custom campaigns that target the audience based on their likes, behaviour, and demography. For instance, it makes better sense for you to target the people in your city between the age of 18-25 if you run a hipster club and show them an ad about the upcoming DJ night. Easy to Measure the ROI: The biggest advantage that paid marketing has that it gives you quick results, positive or negative. You can be sure to see the exact results that a particular ad campaign generated. 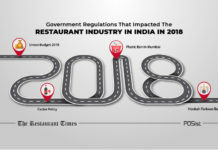 Thus, it only makes sense to designate a budget for running paid restaurant ads online. Now that we have discussed the importance of running paid restaurant ads, here are the top social media channels you should definitely target. Daily active users (DAUs)– DAUs were 1.40 billion on average on average for December 2017, an increase of 14% year-over-year. Monthly active users (MAU)- MAUs were 2.13 billion as of December 31st,2017, an increase of 14% year-over-year. Users spend 50 minutes per day on Facebook. 500 million Instagrammers use the app every day. Facebook offers its audiences with customizable ad manager, using which you can very skillfully create different types of ads, with different objectives. In addition to this Facebook has introduced an ad based on the location. 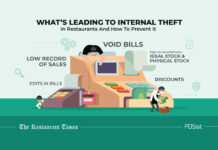 This will help you to target potential customers within a certain radius of your restaurant and then track whether they saw your ad and visited your restaurant. Learn how to run paid ads on Facebook here. The monthly user base of YouTube touches 225 million(MAUs) in India. After YouTube completed 10 years in India, it is estimated that India is it’s fastest-growing market globally. YouTube’s survey has come to the conclusion that Indian viewers are more engaged with videos than the rest of the world. This shows how lucrative it is for you to venture into restaurant ads on this platform. If your restaurant doesn’t have a YouTube strategy, you might be missing out. Publicise your restaurant videos over all the social media platforms and also create that special category for videos on your website, to keep your customers hitched. However, also be sure to consider YouTube advertising. It works on a pay-per-view model, so you only pay when people are watching your video. You can even target the ads so they only appear to people in your area. While Google is not a social media channel, you should definitely make the most of this platform through Search Engine Marketing (SEM). SEM is practically an act of bidding for certain keywords, like “Mexican restaurant in Delhi,” to appear in the first position of Google search results. 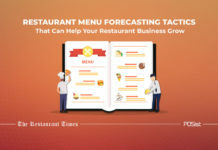 However, you will be unable to make the most of this strategy unless you have a comprehensive plan for your restaurant ads and have done your research well enough. There are some keywords that are worth the bid, while there are some which will not help you top the search engine no matter how much money you put on them. Hence this requires some expert restaurant marketer, who will be competent enough to get the most amount of ROI for the bid. Try and analyze the keywords on which you would like to rank in the Google search engine, and bid accordingly. You can research the top ranking keywords that match your restaurant business type from Google AdWords. With the growing trend of posting pictures, diners can hardly keep themselves away from posting mouth-watering images of the dishes they relish, with interesting and addictive hashtags like #foodie #foodieforlife #foodporn and many others. Considering the predicament of the situation, if you manage to slip the opportunity of attracting all the dinners who hover on Instagram through your innovative restaurant ads, it will be a blunder. Hence it makes sense for your restaurant to advertise on Instagram. It is a very smart way to bid on your best pictures of menu items and sending people to your websites online ordering platform, or your table reservation page. Here’s how you can run a successful marketing campaign for your restaurant on Instagram. 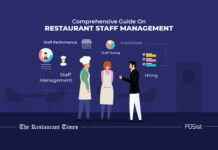 Twitter has over 330 million active users on Twitter every month, And hence, it is advisable that you harness the immense potential that these platforms hold for your restaurant. Twitter ads are a lucrative way to reach out to all the potential customers out there. Not only will these restaurant ads help you to target better it also comes with the option of ‘Pay for what you want’. This means, that you are only billed when someone completes an action to your campaign objectives, such as visiting your website or downloading your app. Here are some useful tips to market your restaurant Twitter. Unless you advertise your restaurant well, it is impossible to stay in sight and in mind of your customers. However, it is also important to consider that running paid ads can get heavy on your pocket. Try to seek a balance between your organic & paid marketing strategy. For instance, for branding and engagement, you can continue with your regular social media marketing calendar, but if you have a special event coming up, or are introducing a new item in your menu, then it is better to go with a paid restaurant marketing strategy.